Welcome to LilacsNDreams! Holidays Christmas Home Decor DIY Restyle. I love Christmas! I'm trying really hard not to bypass Thanksgiving as I too get upset with the way holidays are just being passed along anymore. Holidays are a bit different for us this year with us moving, daughter has her husband's family to also celebrate with, and our son being on base too. Also, with working on the house too. Having time on my hands lately I have been slowly putting Christmas stuff out through the house. On a nice day I will get some outside lights up, but they will not be turned on till after Thanksgiving. We cannot forget that holiday of sharing being thankful for everything. I have 2 windows I have put things in for show with Christmas. Good old Dollar Tree store is great for some of these things along with a little bit of thrifting too. The other night I worked with a glass vase that a candle could be put in the center. I had put some colored ornaments in it. At the top of it I added some colored foliage to add to the look. I then placed this vase in a weathered looking tray with some rope handles. In the tray around the vase bottom I added a few more colored ornaments, and some pretty silver glittered items for a little character too. After cleaning up my glitter mess I kept looking at the arrangement on the dining room table. It looked good, but felt like it was missing something. Ever get that feeling? Keeps my mind busy when this happens. I got up the next morning, walked by the table with the vase arrangement I had done the night before. Then, it hit me what I could do! Since a lot of my craft items are still in containers, in the spare room, or in the loft room I figured I might be going to the dollar general store for what I needed. Sad to buy more when I know I have a few bags of different pine cones, but I wanted them like now too. I took a chance, and searched in the garage with no luck. I looked in the spare room, and did find 1 bag that had a few colored pine cones, some big and small cones too. I finally decided to work with the bag I found of pine cones. I took the vase, and tray and dismantled everything I had done the night before. More glitter being spread around again. I used some of the pine cones in the vase, and in the tray. I used those along with some of the ornaments I had previously used. I added some decorative items to the top of the vase. I feel better about it now, and I did have a compliment from husband's cousin when she seen a picture too. Below I am showing you pictures of how the vase looked by itself, and then the finishing results of it. Would have looked better if I pictured it on the table. Hope you can get the general idea from the chair I was using during my developing process. 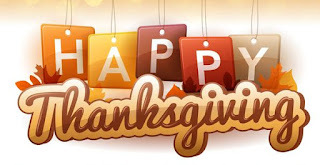 This week is Thanksgiving, and many of you will be traveling, having company, maybe attending an event some where, and so on. Please be safe with your travels everyone! Our plans changed, and we will be home. At least I will. Safe travels, and I hope everyone is able to enjoy the day in some way. Thanks for visiting with LilacsNDreams! Happy Holidays to all, and see you again soon.